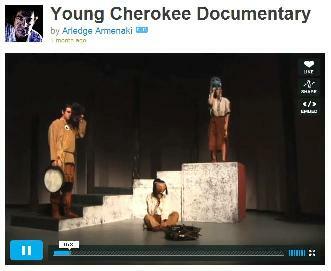 'Young Cherokee' combines Native American culture with exciting drama for an unforgettable theatre experience! was much impressed with the production." 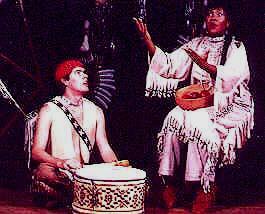 "Young Cherokee was the best by far of any I've seen in children's theater! Thank you for a well told timely tale of Native American history." "The principal remarked that he had never seen the kids so attentive as they were for Young Cherokee." "Our music teacher found the musical background CD great and lent itself to many musical theories in the classroom!" Young Cherokee: WCU established a partnership with the Eastern Band of Cherokee Indians to work towards cultural and environmental literacy. 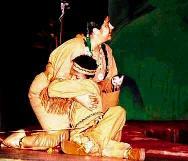 Cherokee artists and scholars worked together to creative an extraordinary cultural experience! 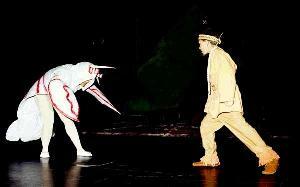 One Act Play for Schools and Theatres! 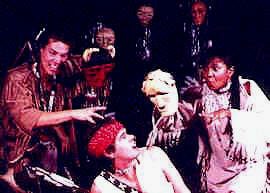 Native American Script for Young Audiences! Imagine America in its unspoiled state - the land of a young Cherokee. 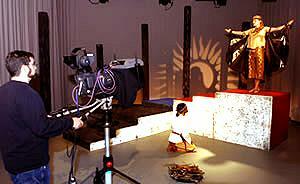 Through his eyes we witness the great myths and legends of early Native American life and culture! Powerful Story for Young People! Here are the stories of the Underground Panther and the Great Thunderbird. Our hero, Chosen One, must do battle with these traditional foes! Children in the audience learn authentic American Indian sign language and to speak key words of the authentic Cherokee tongue. 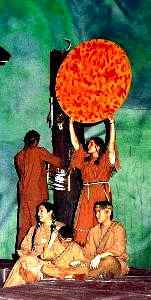 The audience participates in a Cherokee tribe session and helps Young Cherokee build the sacred fire! 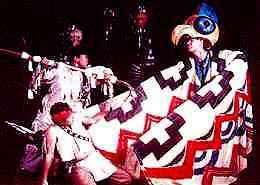 Traditional Cherokee Myths and Creatures! Crawfish! The Underwater Panther! 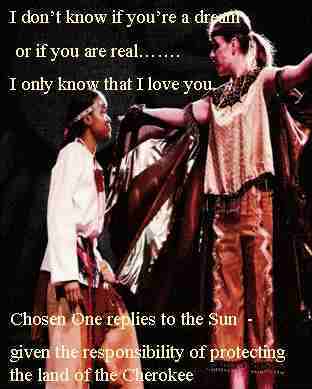 Chosen One Speaks to the Sun! "Young Cherokee was superb and tied in very well with what the students were learning about Native American legends and folklore." 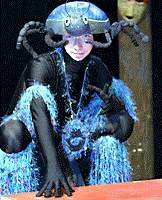 Producers, this one act play was developed for a professional tour. It is very easy to book and tour, simple masks and props give it stunning style. Schools, Principals, Teachers, love the educational tie-ins to History, Native American History, American Indian History and Culture. that is refreshing and exciting." For School Tours or Mainstage Theatres! 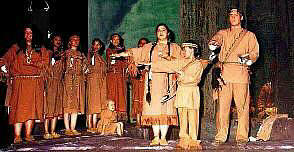 Young Cherokee and its companion play Trail of Tears may be performed together to make an in-depth two hour production. 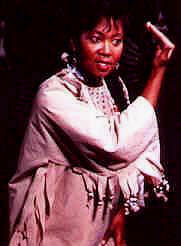 Both plays have independent stories however, and may be performed alone. 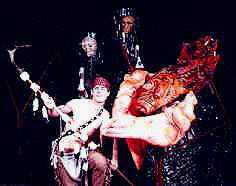 "Thank you for a well told timely tale of Native American history."